Climate change scenarios predict an increase in air temperature and precipitation in northern temperate regions of Europe by the end of the century. Increasing atmospheric humidity inevitably resulting from more frequent rainfall events reduces water flux through vegetation, influencing plants’ structure and functioning. We investigated the extent to which artificially elevated air humidity affects the anatomical structure of the vascular system and hydraulic conductance of leaves in Betula pendula. A field experiment was carried out at the Free Air Humidity Manipulation (FAHM) site with a mean increase in relative air humidity (RH) by 7% over the ambient level across the growing period. Leaf hydraulic properties were determined with a high-pressure flow meter; changes in leaf anatomical structure were studied by means of conventional light microscopy and digital image processing techniques. Leaf development under elevated RH reduced leaf-blade hydraulic conductance and petiole conductivity and had a weak effect on leaf vascular traits (vessel diameters decreased), but had no significant influence on stomatal traits or tissue proportions in laminae. Both hydraulic traits and relevant anatomical characteristics demonstrated pronounced trends with respect to leaf location in the canopy—they increased from crown base to top. Stomatal traits were positively correlated with several petiole and leaf midrib vascular traits. 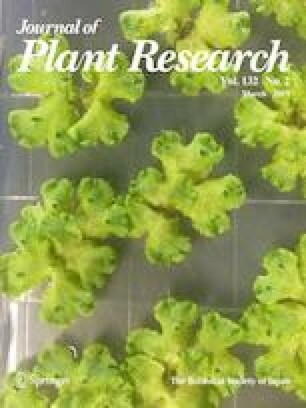 The reduction in leaf hydraulic conductance in response to increasing air humidity is primarily attributable to reduced vessel size, while higher hydraulic efficiency of upper-crown foliage is associated with vertical trends in the size of vascular bundles, vessel number and vein density. Although we observed co-ordinated adjustment of vascular and hydraulic traits, the reduced leaf hydraulic efficiency could lead to an imbalance between hydraulic supply and transpiration demand under the extreme environmental conditions likely to become more frequent in light of global climate change. The online version of this article ( https://doi.org/10.1007/s10265-019-01106-w) contains supplementary material, which is available to authorized users. This study was supported by the Estonian Ministry of Education and Research (institutional research project IUT34-9). We thank Jaak Sõber for operating the FAHM humidification system.